Lucky John makes a great addition to any poker room. Endre's Szabo's love of the Old West his affection for the rough characters who tamed it is apparent in this piece. 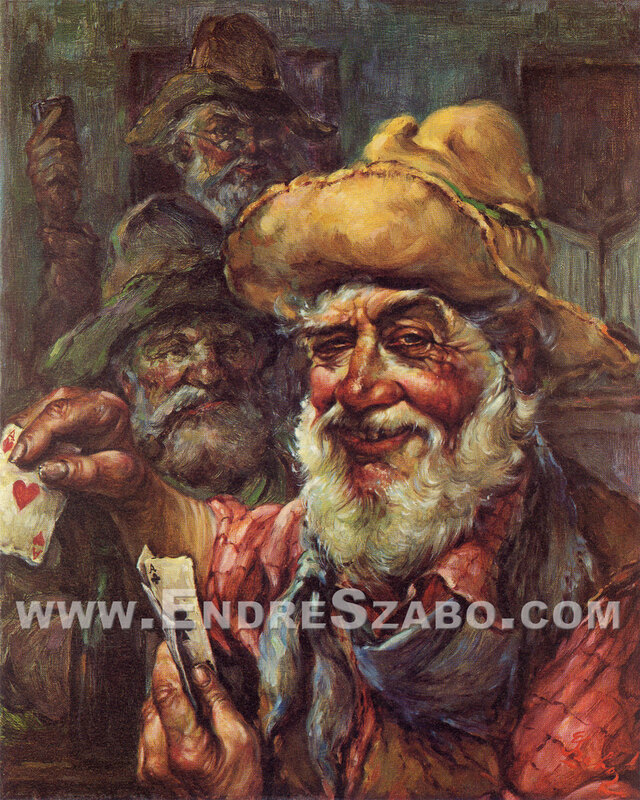 This grizzled old poker player has a gleam in his eye, and judging by the characters looking on, he has a winning hand. This piece has a terrifically light-hearted feel.